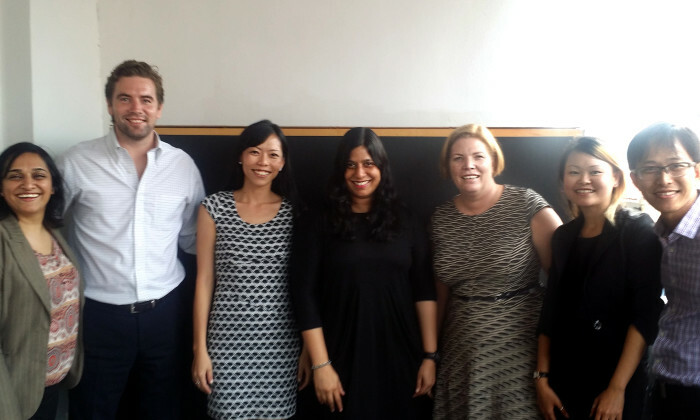 The IAB (Interactive Advertising Bureau) Southeast Asia, Singapore Chapter has established a mobile committee to drive investment in mobile advertising. The committee features voices from all sectors of the mobile ad space, from Facebook to Amobee, and aims in the short term to act as a collective industry voice to grow investment and improve both the sophistication and measurement approach to that particular investment, said the IAB. “As it’s no secret that Asia controls much of the world’s mobile population and many markets utilize mobile as their primary way to access the internet, it’s our responsibility as an industry to better educate and simplify the tools so brands and agencies can have the trust to move more of their marketing investment to mobile,” said Regina Goh of Millennial Media and chair of the mobile committee. Firstly, the committee has endorsed the global IAB / MMA mobile phone creative guidelines, citing these as standard within the Asian region. These guidelines are relevant to both mobile web and in-app inventory, and include ad specifications for basic and rich media units. “The vast majority of ads currently being transacted through the major trading platforms here in the region are the 320×50, 300×250 and interstitial. Given the global nature of the web, most businesses locally adhere to these global guidelines,” said Ryan Murray of StrikeAd. Recognising these standards as the baseline, the committee is now soliciting feedback around the “Asia Rising Stars” – creatives that maximise the mobile opportunity and inspire interaction. “Display banners are easy to execute but not always the best way to maximise engagement with someone on a mobile device. We have seen success with multiple clients across automotive, entertainment, travel and leisure who have run interactive, multi-function mobile rich media units. These include the ability to capture data for lead generation and provide a unique experience for audience engagement whilst delivering results for clients,” said Andrew Coroneo of MEC. By gathering feedback from members around brand-friendly ad units that tap into the breadth of cutting-edge technology available today, the IAB hopes to provide new tools that resonate with Asian consumers and serve as powerful vehicles for advertisers. One of the areas where investment is increasing rapidly in Asia is native advertising on mobile. “Facebook spends a lot of time working with our clients and businesses sharing insights around the rapidly changing mobile landscape and helping them understand how to engage with their consumers across mobile devices, ” said Sriram Desikan from Facebook. For traditional publishers such as Yahoo! and SPH, enabling native placements within their news applications is driving great results for their marketing partners. “Mobile is our core areas of focus, and we have invested in research on how users actually spend their time on their phones and tablets. We build those insights into our native advertising solutions, making sure that a format like the stream ads on Yahoo deliver greater engagement between brands and users. This makes the overall mobile advertising experience value for both users and advertisers,” said Inez Miki Tong of Yahoo!. The challenges facing mobile advertising are many, especially in Asia where the screens and devices are prolific and IOS does not dominate as it does in the West. “With consumers seamlessly switching devices throughout the day, it’s become a business imperative to optimize sites for mobile. Customers spend more time–and convert more–on sites that provide a great experience regardless of screen size.” explained James Tan of Google. Furthermore, MoPub is seeing an uplift in mobile ad spending via in-app advertising, as marketers start spending where the consumers are. Sonal Patel, Mopub JAPAC, explained that mobile web is not as flexible as an in-app canvas for mobile advertising. As a result, there has been an “aggressive push from Asia publishers to either build their own native apps or focus more on their native app offerings,” where in-app ads “offer more creativity for publishers to keep the momentum of engagement”. The longer-term agenda for the mobile committee includes establishing reliable measurement tools for Asia, tackling the issues of attribution and cross device ID’s and establishing insights into cross-screen ad effectiveness. The final key is education. “With ad experiences as rich as 3D-sensory interactive experiences available, mobile advertising warrants intensive training for any brand marketer” said Ryan Pestano, of Amobee. The IAB will be hosting a Mobile Education Roundtable forum on Wednesday November 12 in Singapore. The interactive session will feature regional brand case studies and roundtables focused on Strategy, Function and Measurement.